Camping is the perfect occasion to spend some quality time with friends and family without the distractions that seem endless at home. Playing games together is one of my favourite things to do on a family trip and is a wonderful way to reconnect and enjoy each other’s company. As soon as the tents are up, gas stoves are ready and camping chairs out we are ready for the games to begin. There are thousands of games you can play together. I have narrowed it down to three of my favourites, capture the flag, Uno and charades. They are classic games which have stood the test of time. We have endless fun playing them and they never seem to get old. If you have never played these games or if you are a bit rusty on the rules and need a refresher I have written a short instruction on each game below which may help. Capture the flag is a great game for any number of people greater than 6. In capture the flag the goal is to find the opposing team's flag and get it to your side of the playing area without being tagged. Find a place to play. A good place is a yard with a house in the middle. It is important to pick an area with a large obstruction near the centre so no guards can see all the way across the field. Try to do it in a place which is not an open area. Where to Play: a large area that is not too open as you need places to hide (in amongst the trees is perfect). 3. 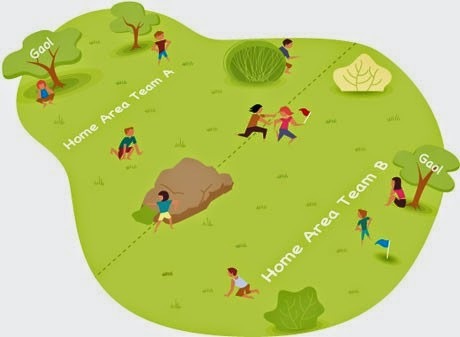 Choose a spot for the jails – each team needs its own jail where captured opponents can be sent, for example, sitting on a specific rock or holding a particular tree. 4. Designate a security zone around the flag – when the game begins each team decides where to place its flag. Once placed, it cannot be moved, although it can be guarded. Teams cannot enter the security zone around their own flag unless they are in pursuit of an opposing team member. 5. Once the flag is placed, team members must decide who is to guard their own flag and who is to try capture the other team’s flag. 6. Players in enemy territory can be caught and put in jail. To be released a teammate must tag the prisoner - only one prisoner can be rescued at a time. 7. The team who captures the opposing team’s flag and brings it back to home territory wins. If the flag is intercepted before making it back the flag is set up where it was recaptured. If a game must be ended before a flag is captured, the team with the most prisoners wins. 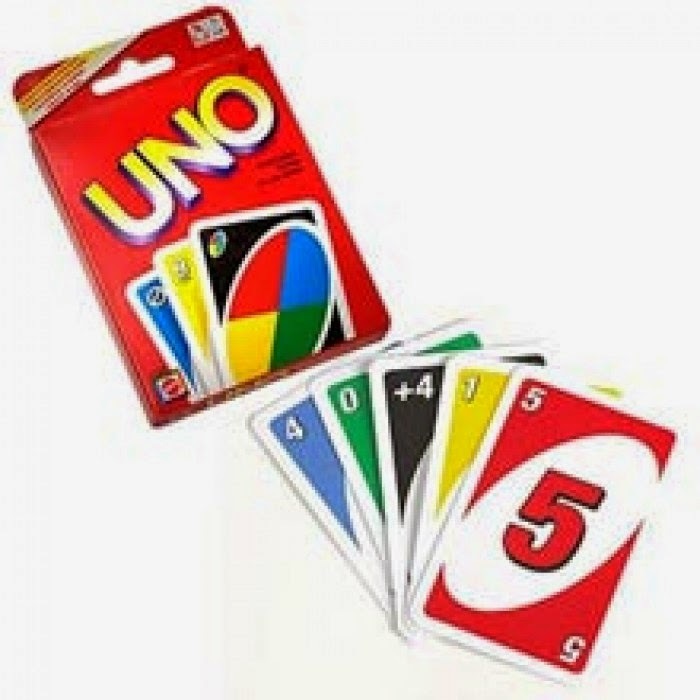 Uno is a simple but fun card game which has a specially printed deck. The object of the game is to finish all your cards first. The deck consists of twenty-five red, green, blue, and yellow cards. The cards are numbered zero to nine, and each have action cards - "Skip", "Draw Two" and "Reverse" In addition, the deck contains four "Wild" and four "Wild Draw Four" cards. The player who plays the wild card selects the colour change. The player to finish all the card in their hand first wins. Charades is a fun, light hearted game witch required little preparation, lots of imagination and can be made as hard or easy as necessary. 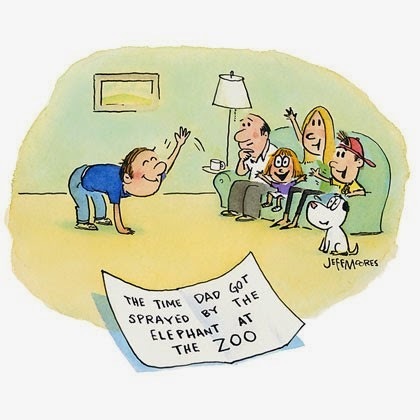 My favourite thing about charades is that you are always guaranteed a good laugh. 2. Each team writes short phrases, words (usually nouns), movie titles, song titles, book names, famous people’s names, television show etc. on strips of paper. Make sure all people playing are familiar with these. 6. When the team members guess correctly the actor shouts yes and the next team has their turn. TV Show - Draw a rectangle in the air representing a TV screen or make a square with your fingers using both thumbs and index fingers. Indicating number of words - Raise your fingers to indicate the number of words. Two fingers signals two words, three fingers means tree words etc. There are so many fun games to play whilst camping. Hopefully you will love these three as much as I do. Quotations: denoted by fingers of both hands making quote signs. oMovies: one hand held up to eye as if looking through a camera lens, one hand cranking like an old-fashioned movie camera. oBooks: hands together in front of you, then opening like they make up a book.